Shipping days begin a "day after" the order has been shipped. Weekends and Holidays ARE NOT considered shipping days. Domestic orders shipped within the 48 States: Shipping costs are calculated in our Shopping Cart after you enter your order. Orders shipped outside of the 48 states: (including Canada, Alaska, Hawaii, Puerto Rico, The U.S. Virgin Islands, and Guam) Shipping costs are determined by box size, weight and destination. The "Actual Freight" is added to your Invoice. We require a $150 minimum order for orders going to Canada. We require a $150 minimum order amount to ship Internationally (excluding Alaska, Hawaii, Puerto Rico, Virgin Islands, Guam). We require a $150 minimum order amount to ship Orders to Alaska, Hawaii, Puerto Rico, Virgin Islands, Guam. Additional charges may apply if your order includes any personalized items. Personalized items are shipped from alternate locations and require separate shipping methods. Following submission of each order, an email confirmation of the order is sent. Orders received by 1:00 pm (est) usually process the same business day. Orders are usually shipped within 1 business day after it is received, if the credit card provided validates and the merchandise is in stock. 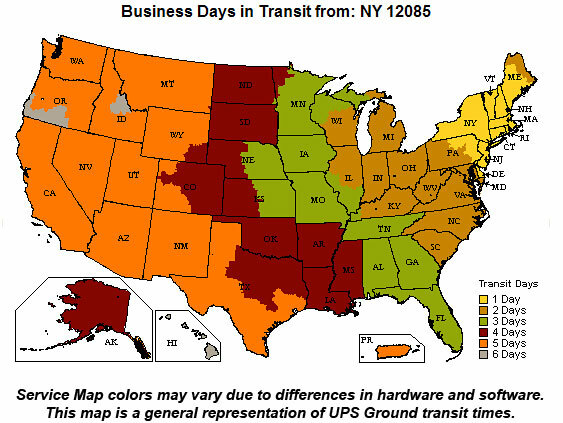 All free freight promotions are UPS ground to contiguous 48 states only. Any items that are on back-order will be shipped when available at a fee of $4.95. 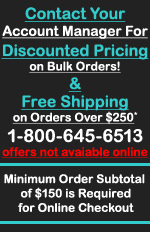 If back ordered items ship separately, each will incur a separate $4.95 charge. All shipments are FOB Albany.